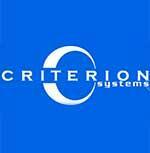 At Criterion Systems, Inc., we developed a different kind of business—a company whose real value is a reputation for excellence built upon the collective skills, talents, perspectives, and backgrounds of its people. We are currently seeking a Senior Technical Writer located Washington, DC to support a proposal effort, due to start in January 2018. Demonstrated experience writing and reviewing technical and non-technical documentation in an information technology environment. Proven working experience in technical writing of system documentation. Ability to deliver high quality documentation paying close attention to detail. Degree in Computer Science or related discipline from an accredited college or University required.